Kevin Bell is stepping down as regional president for the UK, Africa and the Middle East at Fleishman-Hillard following a 10-year tenure. The Conservative-supporting public affairs stalwart will be leaving the firm after his six-month notice period. 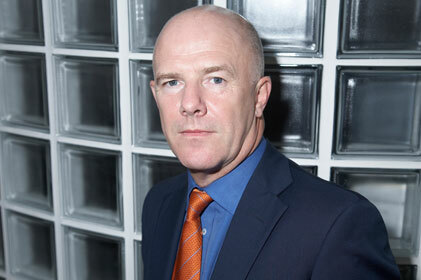 Bell is a former adviser to Margaret Thatcher, whom he has repeatedly cited as his 'most respected politican' in successive editions of PRWeek's Power Book, which lists the most influential people in PR. He began his agency career with Michael Forsyth Associates in 1980 and became a founding director of legendary lobbying outfit Westminster strategy in 1987. He was asked by Lord Tim Bell to establish Lowe Bell Political (later Bell Pottinger Public Affairs) in 1994. Bell joined GPC International UK in 2000, which was subsequently merged with Fleishman-Hillard. In February 2004 he was appointed regional director of Fleishman-Hillard UK and South Africa, and later, the Middle East. Separately, Richard Kanareck joined F-H on January 17 to run the London office, having been signed up last year. His counterparts in Edinburgh, the Middle East and Africa are Elaine McKean, Annalise Coady and Kevin Welman, respectively.